Motorcyclists who are in accidents are at much greater risk of being seriously injured than motor vehicle drivers involved in car accidents. An experienced motorcycle accident attorney will often be able to help accident victims obtain the compensation they deserve. Motorcycle accident victims can benefit from the assistance of a motorcycle accident attorney in several significant ways. Motorcycle accidents are often complicated when it comes to issues of fault. Often, difficulty arises in establishing exactly what series of events led to people being injured. The resulting damage can include everything from minor injuries to much more complicated and life-threatening complications. Many motorcycle accidents in New Jersey are susceptible to the myth that all motorcycle riders are careless and as a result, more likely to end up in serious accidents. 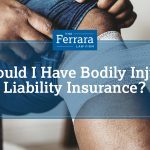 Fortunately, an experienced motorcycle accident attorney knows how to establish who should be held responsible for an accident and will remain committed to making sure that you receive adequate compensation for the resulting damage. An experienced motorcycle accident attorney understands how to gather paperwork critical to the case, which includes documentation about injuries incurred from the accident, the resulting medical bills, law enforcement reports, and information about how exactly the accident occurred. Accident victims who collect and organize this material on their own often discover that it is simply too difficult to do properly. Attempting to handle a motorcycle case on your own creates the significant risk that you will end up receiving much less compensation. In these situations, it is best to obtain the assistance of an experienced motorcycle accident lawyer who knows the various nuances involved with negotiating compensation and who can make certain that you receive the results you deserve. Contact your attorney and your motorcycle insurance company as soon as possible after your accident to avoid the risk of losing important evidence about how your accident occurred. Avoid repairing your motorcycle after the accident until your attorney grants you permission. If there are any witnesses to the accident, obtain their contact information as well as statements about how the accident occurred. Follow any instructions or suggestions that your attorney makes about your case. An experienced motorcycle accident attorney knows what it takes to make sure that your case resolves in the best possible manner. If you or a loved one has been injured in a motorcycle accident, you should not hesitate to speak with a knowledgeable attorney. 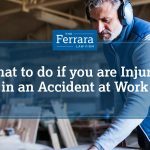 At Ferrara Law, we have helped numerous people navigate these complicated areas of law and obtain adequate compensation. Contact our law office today to schedule an initial free case evaluation.